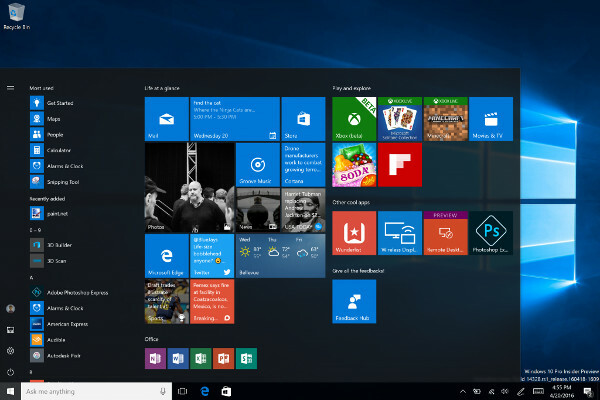 A year has passed, and the new, improved Microsoft Windows is here, bringing new features and an old dilemma: is it wise to upgrade your PC or tablet to the latest version of Windows immediately? Here’s a list of features that would make you think twice about your decision. In recent years, Microsoft has been on a roller coaster ride with its client operating systems, always going up and down. Popularity-wise, it’s been a “tick-tock” pattern: every other major release has gotten generally positive reviews, while the ones in between were hated by experts and users alike. Windows XP was a huge hit with consumers and businesses alike, maintaining its image of a reliable operating system up until today, and is still in use in many enterprises, although support ended two years ago. XP’s successor Windows Vista was disliked by many, suffering from driver incompatibilities and performance issues, although it offered a slick, sleek, beautifully designed interface. Windows 7 came as a welcome relief to many Vista users and was eventually adopted by most companies and IT professionals as a stable platform you could rely your business on. Windows 8 wasn’t nearly so well-received, mostly due to the new user interface, designed primarily with touch devices in mind. 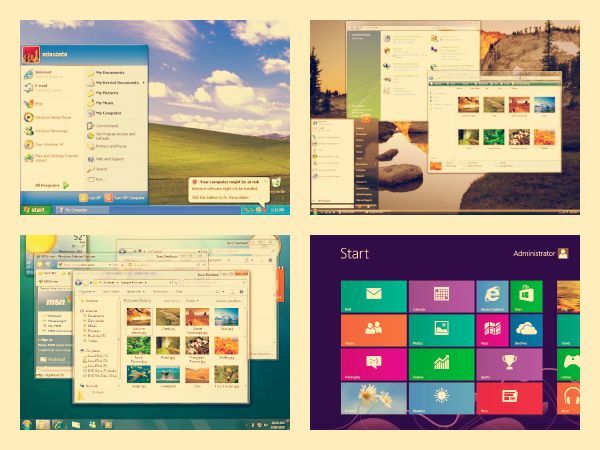 It was clunky and difficult to use with a traditional keyboard and mouse, while the removal of the beloved Start Menu incited a minor rebellion among the faithful Windows users. The 8.1 update attempted to mollify the complainers and made the OS more usable, but many weren’t satisfied, and announced they’ll be waiting for the next version to upgrade existing computers. That brings us to Windows 10. Released in the summer of 2015, it finally struck a balance between the traditional desktop interface and touch-friendliness for tablet users – not an easy feat, considering the very different needs. Specifically, Windows 10 brought back the Start menu, in a new and mostly better form. 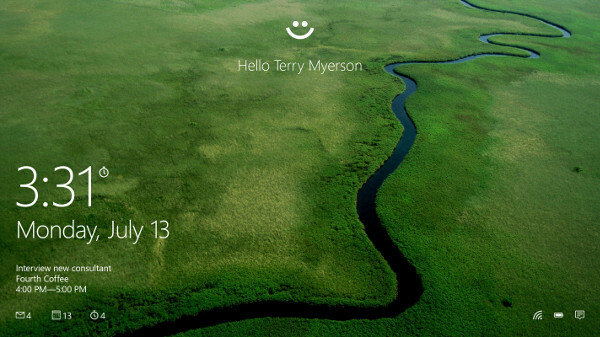 Now the live tiles, that once lived only on the full-screen Start Screen, are accessible through the Start button from the desktop, integrating them into the traditional user experience instead of isolating them on a separate “page.” You can have no tiles or many, and arrange and size them however you like. The way I have mine set up, I can get a quick view of the weather, stock market, headline news, Microsoft Health data, mail and calendar appointments right there with one click of the Start button. It somewhat (but not completely) replaces the desktop gadgets that I adored in Vista and Windows 7, and which could be added back even to Windows 10 with a program such as 8GadgetPack. Microsoft included a number of other improvements in Windows 10, such as virtual desktops, something Linux users have had for years, or the Edge web browser, which started as sort of a replacement for the much criticized Internet Explorer and is now grown to be very useful and has become my browser of choice. There’s also Windows Hello, which still delights me after all this time whenever I sit down at my Surface and it recognizes my face and logs me in, with no password or PIN required. There are numerous other security enhancements, including automatic encryption of sensitive data and Device Guard. As good as Windows 10 was, and it was very good, it still wasn’t perfect. 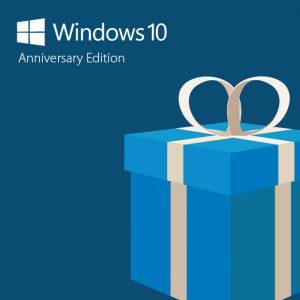 And on the one-year anniversary of its release, Microsoft started rolling out an Anniversary Update edition, designed to address some of those places where the OS was still a little rough around the edges, and to improve some of the already-excellent features. The upgrade process was fast and smooth. It took only about 40 minutes, including the download. There were a few things that had to be reconfigured afterward. Most notably, the mentioned Windows Hello didn’t recognize my face on first logon. I had to use my password to get in and then re-train it; after that, it worked flawlessly again. Speaking of Hello, the upgrade made it even more functional. Now we’ll be able to use it not only to log onto Windows, but also for signing into web sites and apps – if they support it. Another potentially very cool new feature on the authentication front is the Companion Device Framework that will allow for unlocking your computer with your smart phone or fitness band. I’m a big fan of my Microsoft Band and hoping this capability is included in the Band 3 when it’s released. It would be great to have wearables authentication for certain web sites, as well. I use multi-factor authentication for some sites and the problem is that my phone, which the site calls or sends an SMS to authenticate, isn’t always nearby, whereas my Band is always on my wrist. The interface looks mostly the same, but some things work differently. The Start menu now lists all of your apps instead of lumping them in an “All Apps” link. Your profile, Windows Explorer, Settings and Power controls are moved to the bottom left, and there are also some subtle changes to the taskbar, as the Action Center is moved to the far right corner. I use my Surface with a docking station and four external monitors, and now the time appears on the taskbars of all the monitors, not just the main one. Again, small but useful. Click the time on the taskbar, and you’ll get not only the clock and monthly calendar, but also a list of your day’s events. The surprising star of the Windows 10 show is Cortana, Microsoft’s voice-enabled personal assistant. 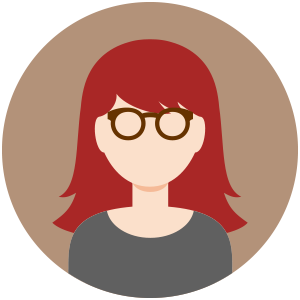 It (she) was introduced last year and has since been released in Android and iOS versions. I tried it when I first started using Windows 10, but found it to be a little buggy, or maybe she just didn’t understand my Texas accent. A few months ago I tried again and found it to be improved, but now, after the anniversary update, Cortana is my new best friend. I can access her from the Lock screen, but more important, since I have her installed on my Galaxy Note phone, she pushes my phone notifications to my Surface, where they appear in the Action Center. I love that kind of seamless integration. So far she hasn’t made even one mistake in transcribing what I say, and she responds via voice to many more of my questions, instead of just sending me to a web site that answers them. She’s turning into a true digital assistant, able to remember things for me and make suggestions for actions I might want to take, or tell me if two of my appointments overlap. 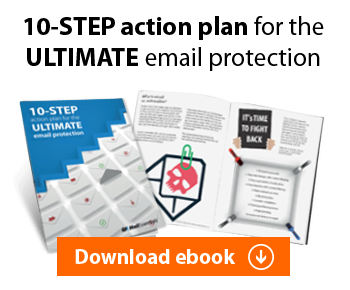 Of course, some of these functions can pose privacy issues, so be aware of that. Going back to the Action Center, now Windows 10 lets you prioritize the notification types, so that all those Facebook notifications won’t crowd out your calendar appointments or messaging notices at the top of the pane. This is a small thing, but helps a lot. Let’s not forget the security and update enhancements. Defender will now do periodic updates without interfering with other antivirus software you have installed, while Enterprise edition users got Windows Defender Advanced Threat Protection and Enterprise Data Protection. Security-conscious folks will be happy to know that the reviled password sharing is gone from Wi-Fi Sense, which now keeps your Wi-Fi credentials to itself. In the Windows Update settings, you can now configure Active Hours, during which Windows won’t restart to install updates. That’s a welcome change, particularly for those who were frustrated when Windows wanted to sign off in the middle of important work. If you’re using the computer during non-active hours, you can still defer the restart and set a new time. There are quite a few more significant changes in the Anniversary Update edition, including Hyper-V containers (available only in Pro and Enterprise editions), the nifty Windows Ink feature, and enhancements to the Edge web browser, so I’ll return to some of them in some future posts on this blog. Overall, I’m pleased with the upgrade. Will it cause problems for some people? Undoubtedly – there are many different PCs with different configurations and different software installed, which can result in different upgrade experiences. We’ve upgraded four computers at our house, and my experience indicates that fairly new systems that were already running Windows 10 are likely to complete the upgrade without any problems, although some take much longer than others. If you do have problems, check out this article that addresses some of the common issues and how to fix them. And let us know in comments about your experiences with the Windows 10 Anniversary Update and the new features it brought to IT Pros.